Often times when writing a report that requires large amounts of data, the query times become burdensome. This will lead to dissatisfaction from customers of your report. 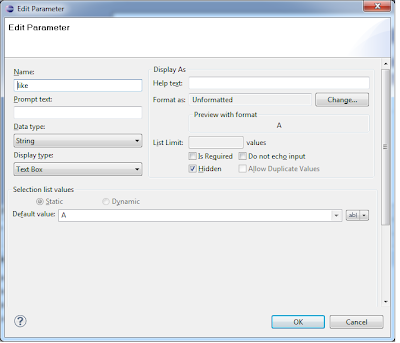 To get around this issue certain companies like Actuate implement progressive viewing in their products that start returning formatted data before the report generation process is complete. 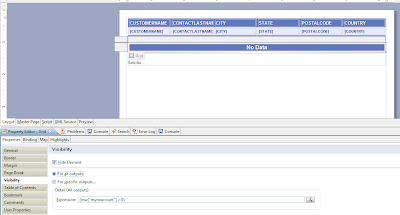 This allows users of the report to start getting data long before the total report is completed. Another option is to reduce the large queries into smaller queries and add navigation controls to your report to get the next smaller set of data. For example, if you have a customer listing report, the first query may return all customers whose name starts with the letter A. 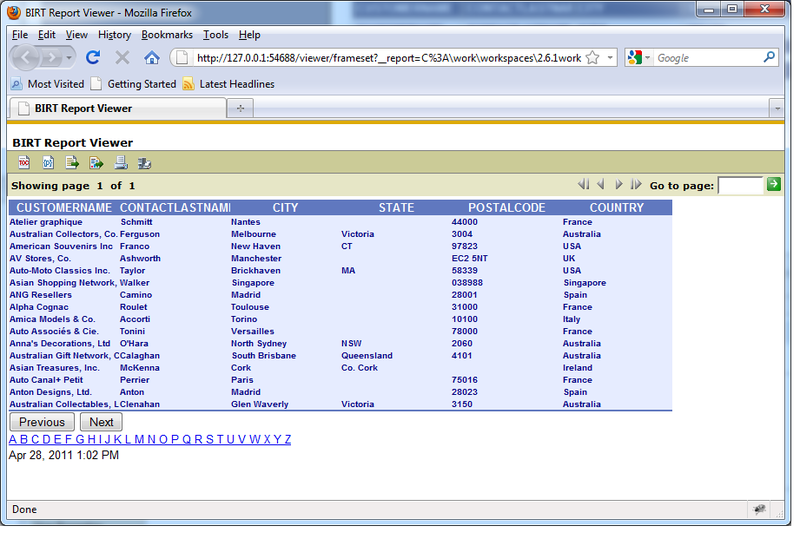 A set of navigation controls could have a next button that returns customers whose name starts with the letter B, etc. This approach is very simple in BIRT and this post details one way of doing it. 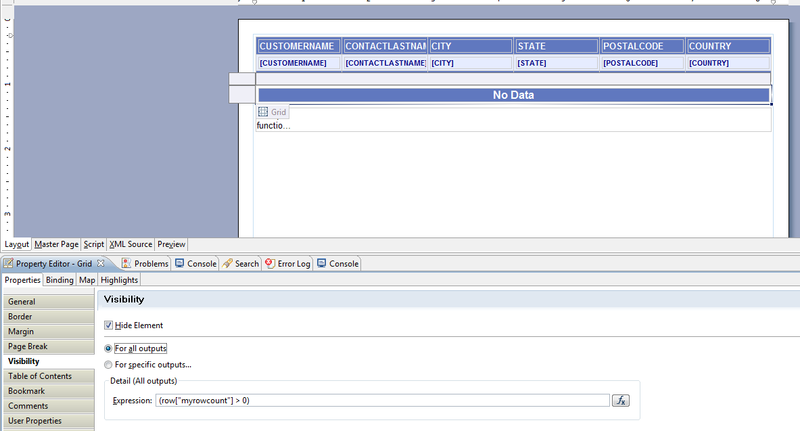 The next step is to add a hidden report parameter that we use in script to add a where clause to the query. 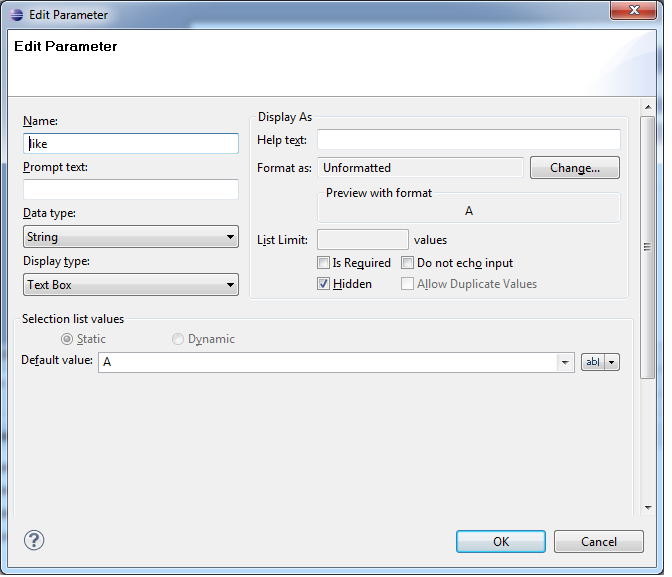 In this example the parameter is named “like”. The beforeFactory script is used because it runs before data is retrieved and executes only once. 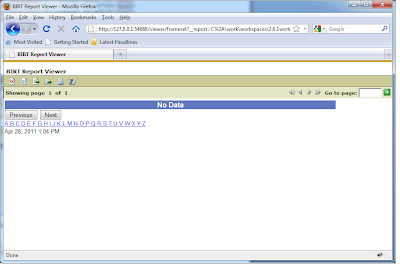 The BIRT initialize script can be executed multiple times so it is not ideal for this script. 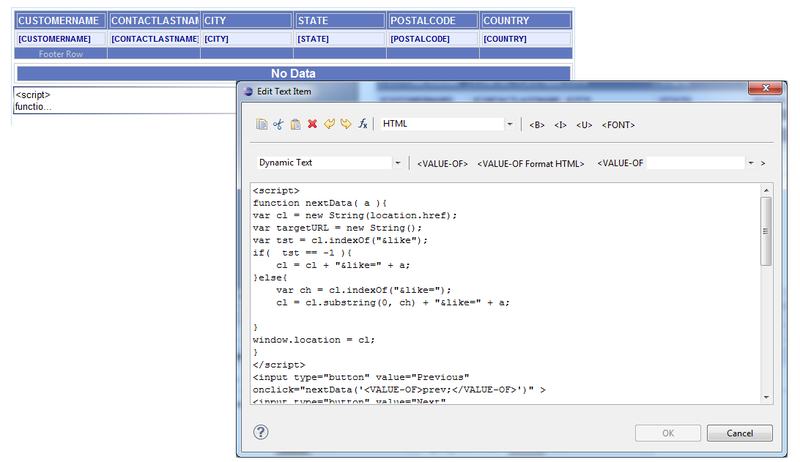 The var keyword is also not used with the variables prev and next which will make them visible to downstream events. 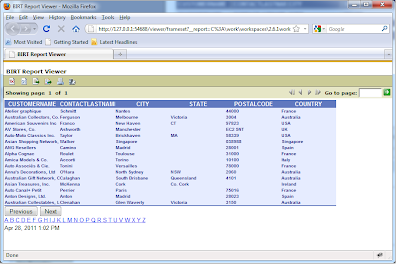 You could also use the reportContext.setGlobalVariable method to do store the variables as well. After the table is added to the report you can then add a Text element that contains a script tag to implement your prev and next buttons. The last thing we add to the Text element is an Alpha index for all letters of the alphabet. 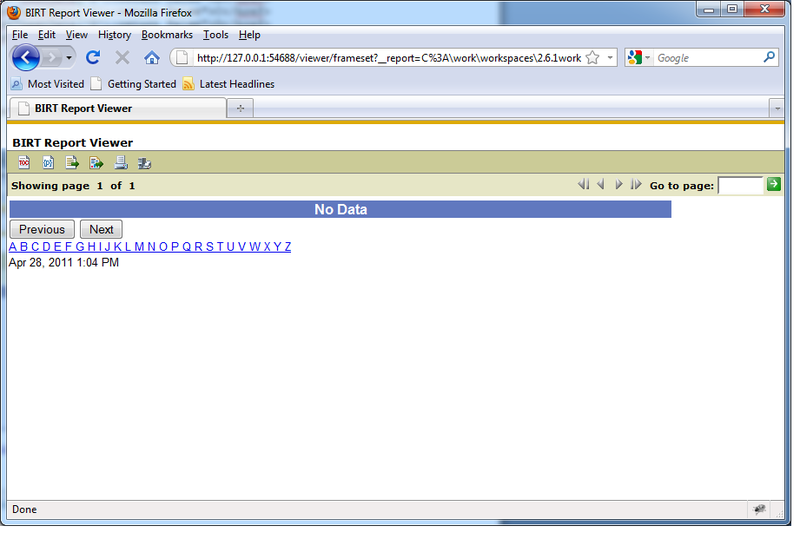 This allows the user to directly select a letter to use in the like clause. The output for the report looks like the following. The report also handles the situation when no data is returned. 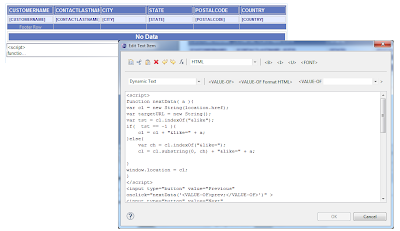 The no data label is placed in a grid below the table. The grid is bound to the table so it uses the same dataset. The dataset contains an aggregate computed column that counts the number of rows. This computed column is then used in the grid and the table visibility property. For example the grid visibility is shown below. The expression returns true when rows exist. This will then hide the grid and label. The opposite condition is used on the table.